Users provide name and relationship info about themselves and their deceased loved one. Both the user’s name and name of the deceased then flows throughout the app’s content. The relationship (such as father-to-daughter, grandmother-to-grandson, or friend-to-friend) the two had with one another also flows throughout the activities and content of the app. Appropriate gender pronouns (such as ‘he-she’ or ‘his-her’) also make the content feel more personal. 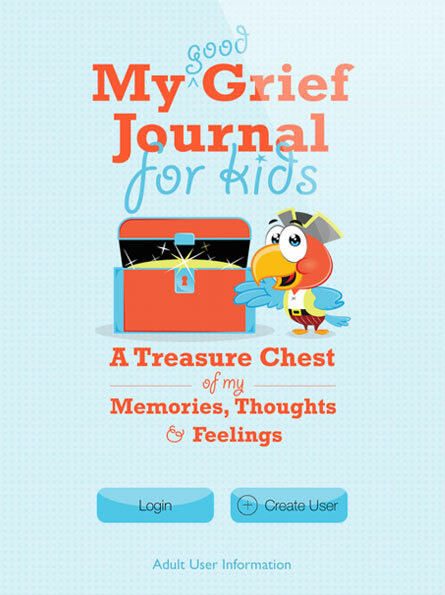 Twenty pages filled with meaningful activities help users remember their loved one and express thoughts and feelings they are having. Each activity is designed to encourage both children and adults to move towards their memories, thoughts and feelings–rather than to run from them. A gentle cartoon character (G.G. 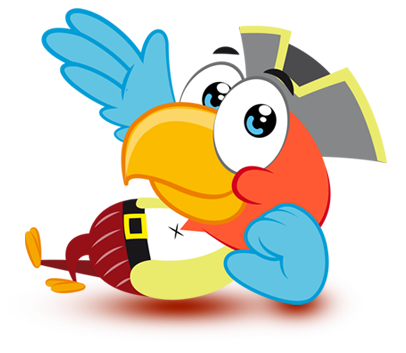 Parrot) serves as a friendly guide through each of the twenty pages of activities. Beautifully designed tools and menus make the ‘Remembering’ activities more inviting. 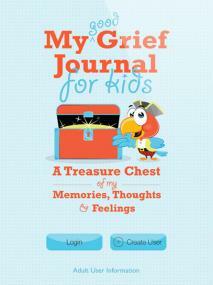 Tools include photo frames, audio and video recording, writing, drawing, typing, and emoticons to express feelings. Users may create an unlimited number of journal pages. Users may journal using any and all of these beautiful tools: photo frames, audio and video recordings, writing, drawing, typing, and emoticons. Each day the gentle G.G.Parrot invites users to begin their journaling by choosing an idea (‘Write Idea’) to journal about. The app requires an Adult User to assist in creation of Child User accounts. Data is private and completely self-contained within the iPad’s memory. Adult users may choose to save user-created data to their iCloud account. Each Child User may create up to three (3) different journals in his or her account.